We are delighted with progress made by Bolsover District Council in delivering new homes on council-owned land. Tibbalds CampbellReith were appointed to advise the Council on a rolling programme of over 30 sites over a four year period. The project has so far delivered 21 new council homes, with a further 49 on site, 23 in planning and over 400 in the future pipeline. 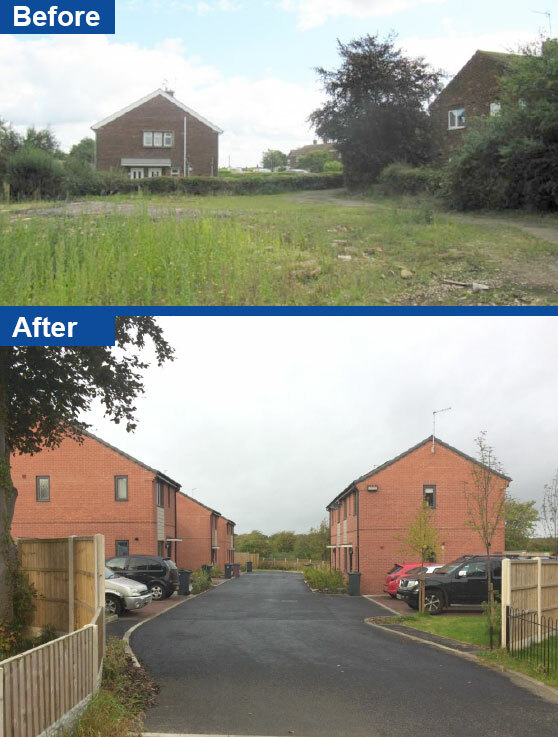 The programme has brought redundant sites into productive use, delivering much needed affordable and market homes in an area where conditions are challenging due to low land values. The project has initially involved ‘quick and dirty’ development appraisals of each site, bringing together planning, design, engineering and property / viability issues to set out clear recommendations for next steps in bringing sites forward for development. The strategies have ranged from straightforward disposal to securing planning consent to de-risk the site. The process has supported Bolsover in setting up a partnership with a contractor to deliver development, and secured £1.5 million of HCA Grant.